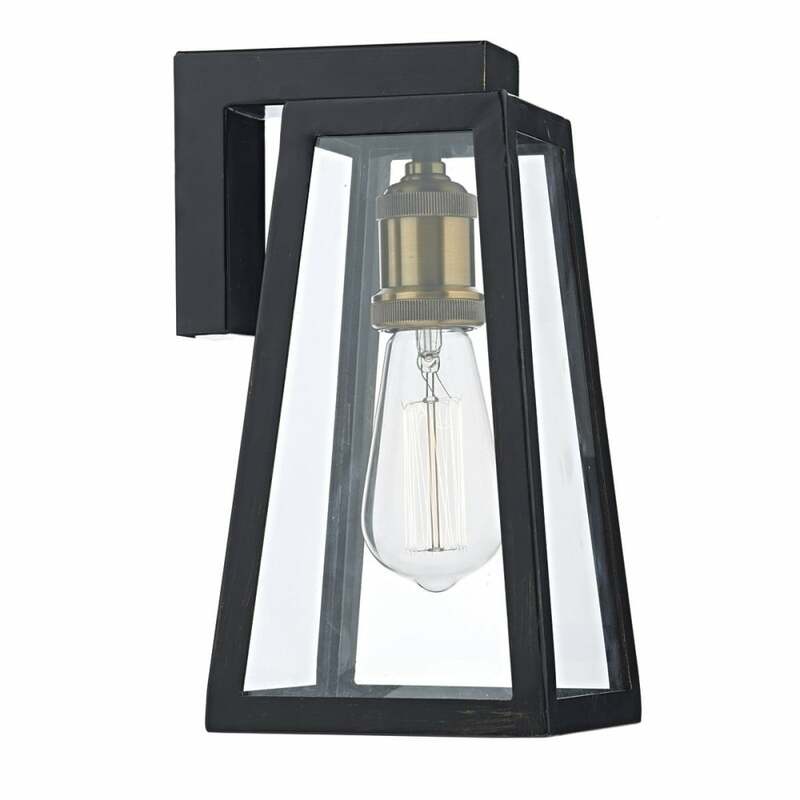 Dar Lighting Duval single light outdoor wall fitting features an angular arm, holding a lantern style frame, all in matt black finish with a copper finish lamp holder. This impressive outdoor wall fitting will add a vintage look with a modern touch to your outdoor living space and teamed with a filament style bulb, completes the look. IP43 rated makes this suitable for outdoor use. This product code is DUV1522. A wide range of outdoor wall fittings can be viewed on our website. Castlegate Lights Ltd will normally deliver your order within 3 to 5 working days. All orders placed before 1.00pm on items in stock will be delivered next working day. We will email you when your order has been dispatched. If you decide to cancel and return the goods, then you should put this in writing, either by letter (proof of posting or recorded delivery is advisable) or you can fax or email. A telephone call is not sufficient. Please note that all orders for spare parts are non-refundable and non-returnable. Payment can be made online by any credit or debit card, Paypal, or by Google Checkout.